Individually wrapped - perfect for a snack or lunch box! 6 Ritz Bits Cracker Sandwiches (Peanut Butter). 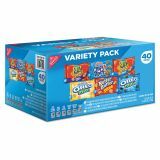 Nabisco Mini Snack Packs, 1 oz, Variety Pack, 40 per Carton - Yummy multi-pack snacks make a delicious anytime snack. 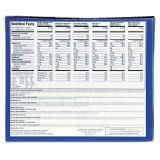 Individually wrapped packets make these snacks easy additions to packed lunches or convenient on-the-go hunger busters. 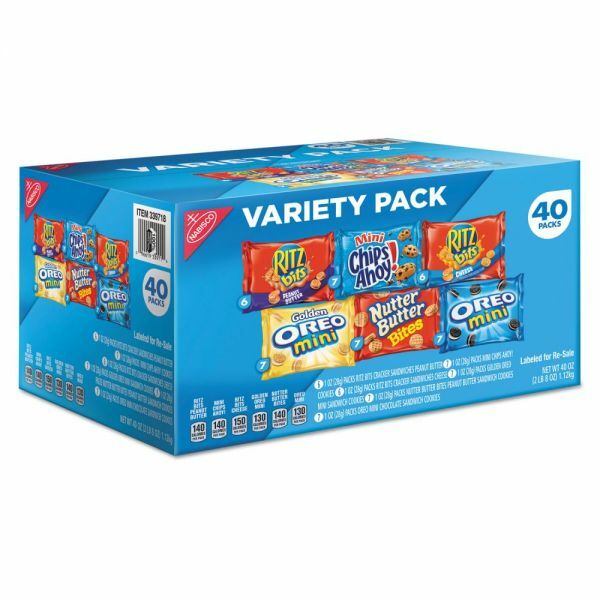 Variety package packs the perfect treat - whether you're looking for savory peanut butter treats or sweet Oreos. 6 Ritz Bits Cracker Sandwiches (Cheese). 7 Mini Oreo Chocolate Sandwich Cookies. 7 Nutter Butter Bites Peanut Butter Sandwich Cookies. 7 Mini Chips Ahoy! Real Chocolate Chip Cookies.